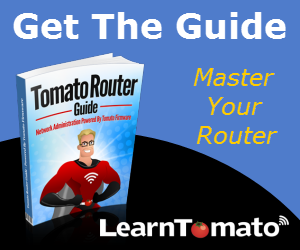 In this section, we will setup a Namecheap Dynamic DNS server on a Tomato router. This way, our dynamic IP address will update periodically, and automatically, giving the affect of having a static IP address. Basically, what we’re doing here is simplifying the process of reaching your LAN from the outside world (the WAN). How will Dynamic DNS help me? 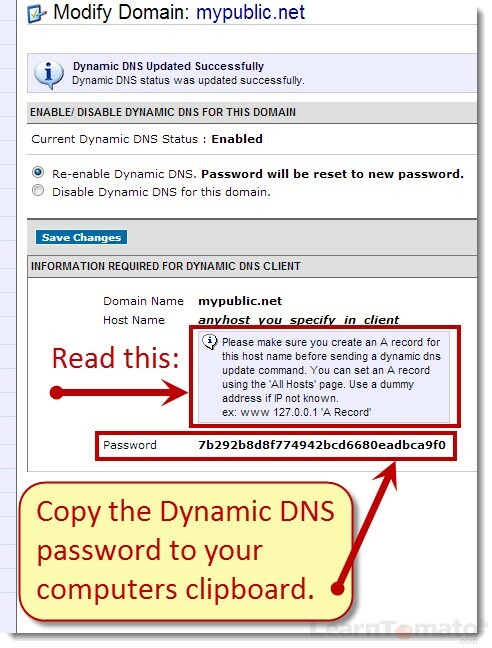 Dynamic DNS will make it easier to gain remote access into your network. Think about it like this. Would you rather enter yourdomain.com, or an ever-changing dynamic IP address like 78.36.156.197? Once you have setup Dynamic DNS and port forwarding, the world is your playground! From anywhere in the world, you’ll be able to access your media server, home security cameras, and even fire up a remote desktop connection and play solitaire on your home computer. Yes, even if you are 5,000 miles from home. 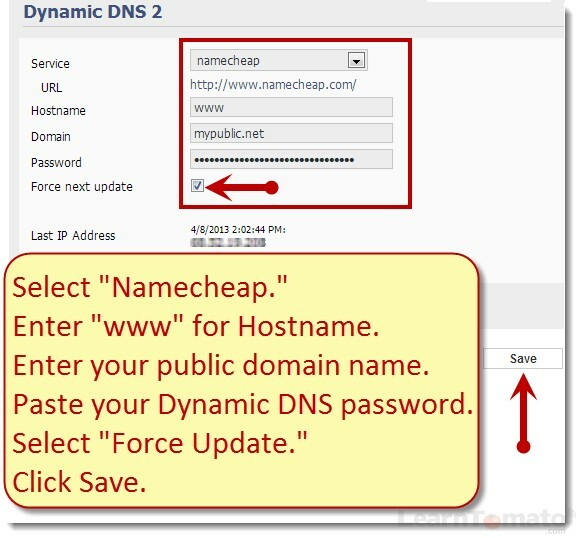 Until recently, there were several Dynamic DNS services offered for free, such as, Dyn DNS, no-ip.com, etc. However, most of them seem to be moving to the paid business model. For this reason, I find it easier to buy my own domain for $10 year, and handle the dynamic DNS directly from the domain registrar. Namecheap.com is one of the few domain registrars that provide free Dynamic DNS. 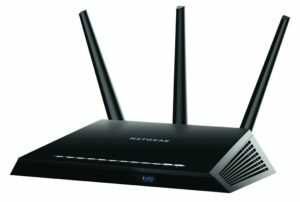 This doesn’t take long to setup and when we’re done, you’ll be able to reach your home network with your own dot.com. Let’s get started . . . 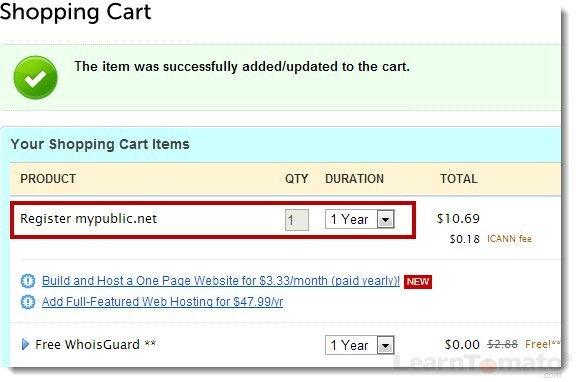 Select the duration you would like to purchase and complete the checkout process. 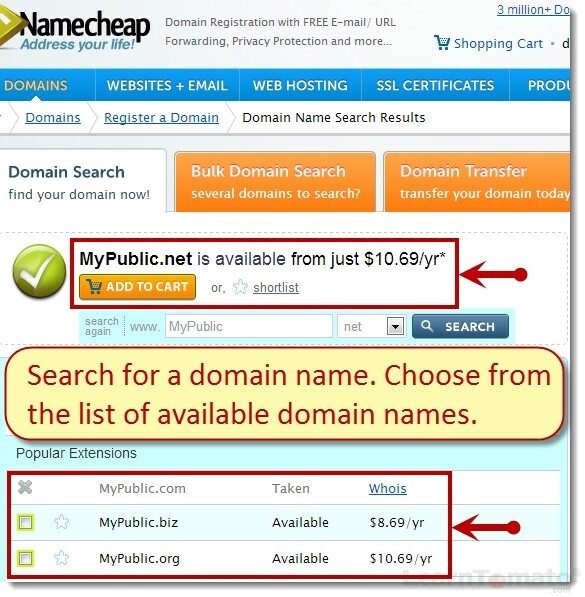 Note: When you order a domain name, (from Namecheap or anyone else) it becomes public information! If you want to keep yourself out of the mailing lists, I recommend also purchasing the optional “WhoIsGuard” for a couple bucks a year. This will help keep your name, address, and phone number private. Login to your NameCheap.com account. 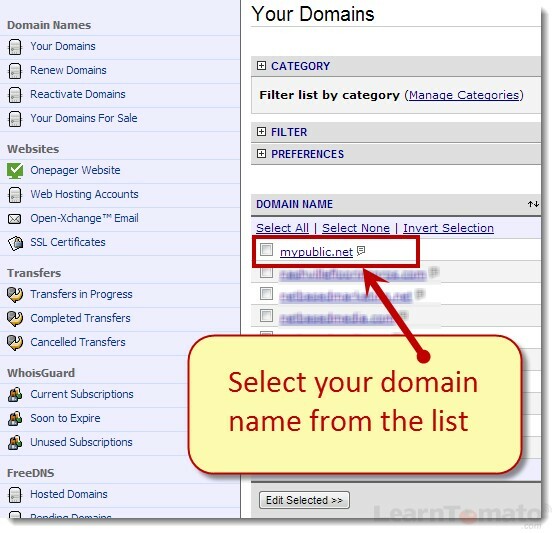 Go to Manage Domains, and select your domain. 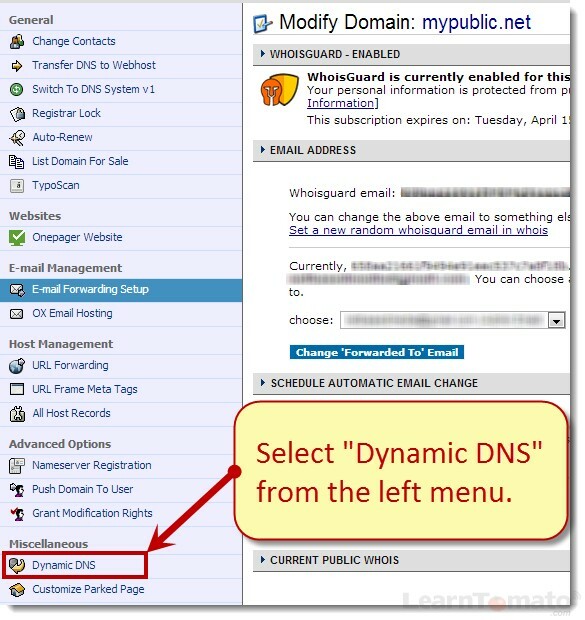 Select “Dynamic DNS” from the left navigation menu. 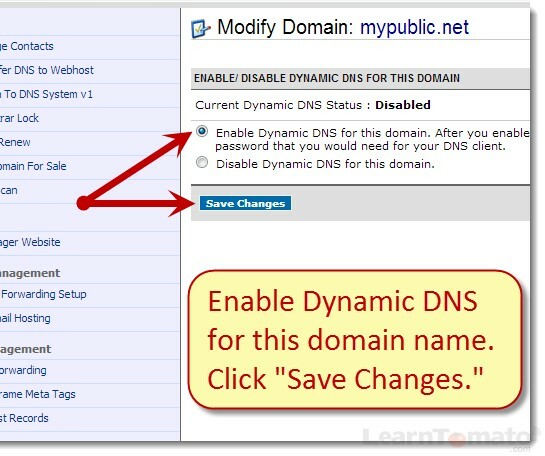 From here, you’ll be able to enable or disable DDNS for the specified domain name. Enabling this will create a random password. This password is used by your Tomato router to communicate with NameCheap.com and update your public IP address automatically. Read the notice about adding an ‘A’ record. Then copy the password to your computers clipboard. 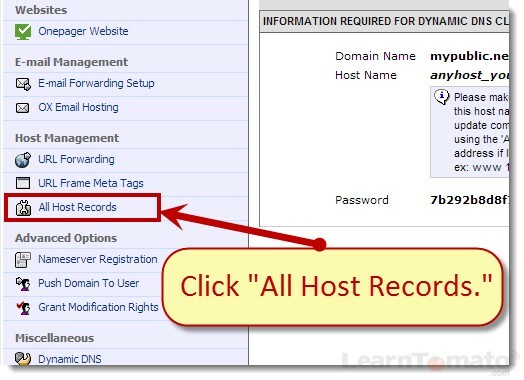 Click ‘All Host Records’ in the left navigation menu. 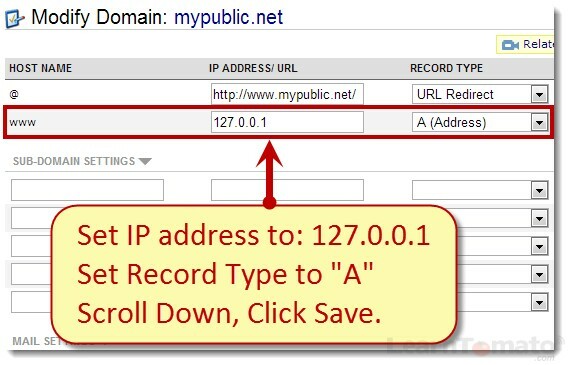 An ‘A’ record is an address record that is associated with a public IP address. Until this point, there was no public IP address associated with your new domain name. For now, we will temporarily enter the IP address 127.0.0.1. (this IP will be automatically updated to reflect your public IP address in the next step). Enter 127.0.0.1 into the IP address field. Then select “A (Address)” from the drop-down menu. Navigate to: Basic > DDNS. This is the dynamic DNS update feature within the Tomato firmware. Fill in the information and select ‘Force next update’. Then click ‘Save’. Your router will now communicate with NameCheap.com and update your public IP address from 127.0.0.1 to your real public IP address. Congratulations! Your network is now configured for remote access using your own domain name. 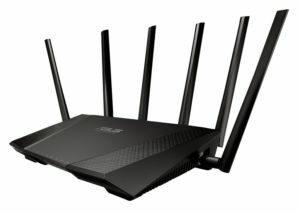 Next, you’ll need to setup port forwarding on your router. Why? Because currently, Dynamic DNS will allow requests to your router, but not through your router. 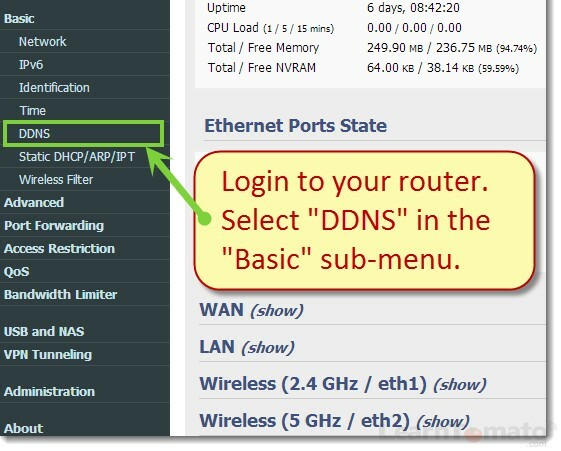 Without port forwarding, those inbound requests to yourdomain.com will be dropped at the router.